Lytham & St.Annes on the Sea Lancashire - Local History - Robert Hayes Guide to Blackpool, Lytham St.Annes, Fleetwood and the District c1927. YOU ARE HERE > HOME PAGE > 1610-2010 BOOKS & MEDIA > 1920s Books & Media > Robert Hayes Guide c1927. 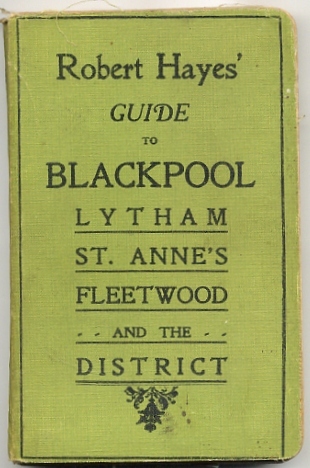 Robert Hayes' Guide to Blackpool, Lytham St.Annes, Fleetwood and the District c1927. Robert Hayes' Guide to Blackpool, Lytham St.Annes, Fleetwood and the District.